Entegral attended the event at Helderfontein Estate in Midrand today. 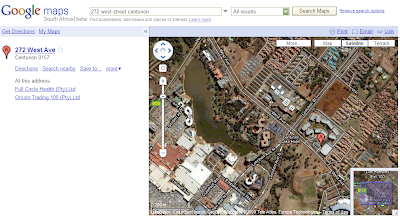 As with the USA version, it can pinpoint properties by exact address and provide driving directions. 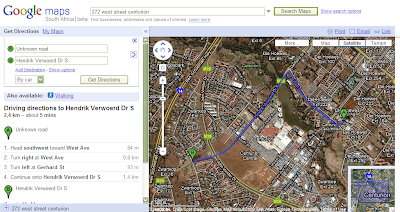 Google Streetviews is also expected to launch next year in South Africa covering some of the major cities ahead of the 2010 World Cup.